Today’s post outlines the success of the Department of Philosophy, Logic and Scientific Method’s Pro-Director Education Vision Funded project, the Philosophy Exchange. You can find out more about the Philosophy Exchange and other School-funded projects at the LSE Education Symposium on Wednesday 9th May. 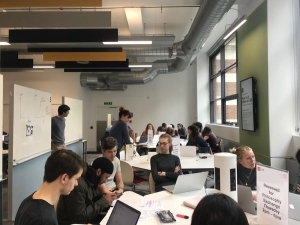 Launched in Lent Term, the Philosophy Exchange was designed to give undergraduate students the chance to get together with their peers, GTAs and faculty to discuss Philosophy, seek feedback and work together outside of timetabled teaching. Designed with students in mind, views and ideas were sought from students throughout the planning and the Philosophy Society supported the launch. Those students who have attended have helped spread the word and encouraged further peers to visit. To support ongoing development, student feedback has been sought throughout. 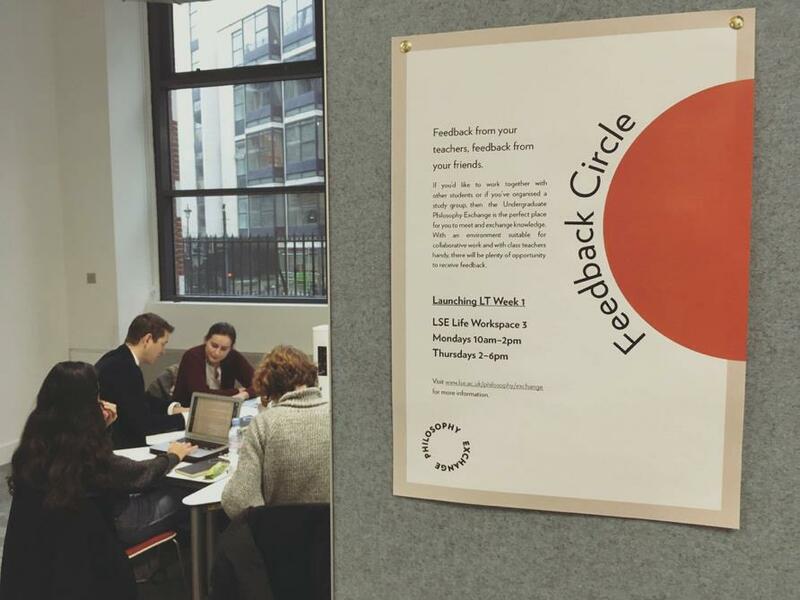 Twice-weekly sessions in LSE LIFE’s Workspace 3 gave students and staff 4 hour slots to meet, study and discuss ideas and feedback. The sessions were busy, and popular with both students and staff with 83% of students reporting experiences at the top of the scale across all areas; quality of explanation, exploration of ideas, quality of feedback, availability and opportunities for group work. Comments from students showed that being able to attend the Philosophy Exchange has supported them to build new relationships with peers and teachers, strengthening the community. Recognising that others in the same space were also from the Department has encouraged students to meet people they wouldn’t usually have encountered and opened up new opportunities for collaborative working and debate. Studying with GTAs and faculty around them has allowed students to explore new ideas and ask questions in a supportive and fun environment. The Philosophy Exchange will run for four days per week in the Summer Term, offering both morning and evening slots in response to student feedback. Undergraduate students will be able to receive feedback and ask questions ahead of exams for four hours per day from Monday to Thursday. Funding from the Pro Director Education Vision Fund covered additional GTA hours, refreshments, promotional material and feedback comments cards to support these popular sessions. To find out more about funding available at the School, and the types of projects supported, visit LSE Education Symposium or see our webpage. Queries about the Philosophy Exchange can be shared with Department Manager, Becky Matthams.